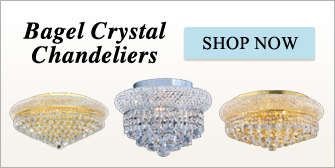 Crystal chandeliers are a timeless symbol of elegance used throughout the world to illuminate formal settings and bring warm, inviting ambiance to the finest homes. 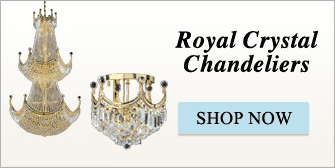 Expert chandelier designers Kingdom Lighting USA shares the beauty of crystal chandeliers with a new audience by offering both innovative contemporary fixtures and classical styles online. 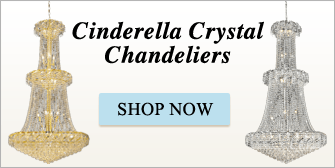 Our company’s acclaimed selection includes Maria Theresa crystal chandeliers, bagel crystal chandeliers, and many more options for residential as well as commercial decor. 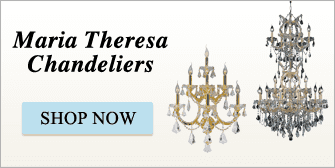 We’re a trusted resource for restaurants, hotels, and many more businesses. Best of all, our prices are affordable and our products rigorously tested to ensure the highest quality on the market. 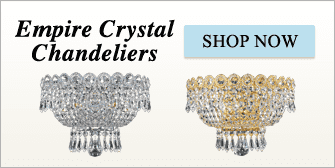 Contact us today to learn more about crystal chandeliers, or browse by category, style, or finish to discover our world-class selection.